If you're a small business owner, then you've probably been through the usual process of setting up a trash collection service. First, you call around to get a quote from a bunch of different trash companies, picking the one that can offer the lowest monthly rate. Then you setup your service, sign the agreement, and get your dumpster. But what if there was a way to cut through that first step and get right to the dumpster? You can with Budget Dumpster! 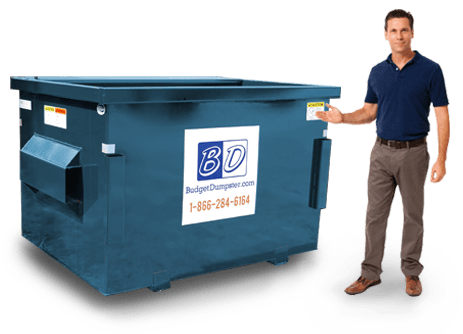 We offer the best deals for dumpsters in Reno, allowing any business owner the chance to cut right to the chase and receive the most affordable commercial dumpster service for their business. The one thing that makes or breaks any business is the degree to which they work with a customer to ensure they receive the proper support when they have a problem or wish to amend their service agreement. 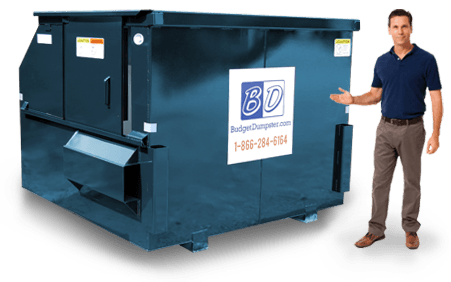 With Budget Dumpster, all of our clients receive customer support with a personal touch. We recognize all of our customers by name, allowing us to provide a level of support that is tailored to their individual needs. 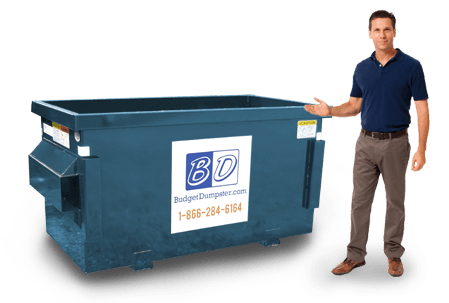 Any client that needs to upgrade their dumpster, either a bigger or smaller one, they can do so just by giving us a call. Or if they need an additional pickup, that's just as easy too! 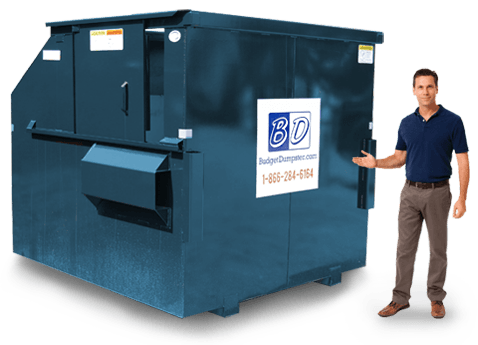 The 2-yarder may not be the biggest dumpster, but it is more than capable of handling the average waste stream from a small-medium business. These dumpsters are well-suited for small retailers, including convenience stores, offices with less than 25 employees, and small restaurants. Each bin is about 3 feet tall, making them very easy to work with. There's no struggle to throw the lid open when you have a bunch of trash bags to take out, nor do you have to dig very far when you accidently drop something important inside. Our 4 yard dumpsters are the next step up for a small-medium sized business. These bins have a 1000 lbs. weight capacity and a height of about 5 feet. These bins are the best of both worlds. They provide just enough capacity to handle a large volume of waste, while still being small enough that they don't occupy a lot of space; a great feature for businesses with smaller lots. Our 6 yard dumpsters are well equipped to handle a large volume of debris, whether it's from an industrial facility or a very large office building with up to 275 employees. Customers who use this size will also appreciate the side door built into each unit. This small sliding door makes it easy to drop in a few items at a time, rather than having to prop open the front lid. Our 8 yard dumpsters are the greatest solution for businesses with a serious amount of trash on their hands. Each of these units is about 7 feet tall, an imposing height for those of us not blessed with the legs of an NBA All-Star. But this extra height allows customers to throw out 8 cubic yards of trash in excess of 1400 lbs., making it the best option for businesses with a lot of daily debris.